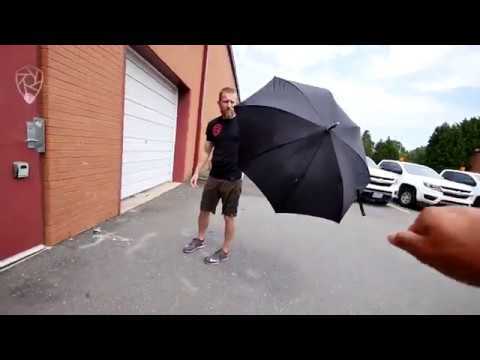 In this video, we see members of the ‘Aperture Fight Focused’ team doing hands-on testing or review of a self-defense umbrella. It is clear that the video is shot at an open parking space, probably to test the product safely. They try to examine how helpful the product really is for defending yourself in the real world. 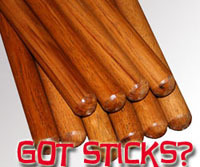 In order to test the strength and durability of the umbrella, they hit it with a baseball bat several times. However, we see that the umbrella does not break and is still in a good shape. We also learn that they didn’t actually buy the umbrella. Someone sent them the umbrella as a gift.